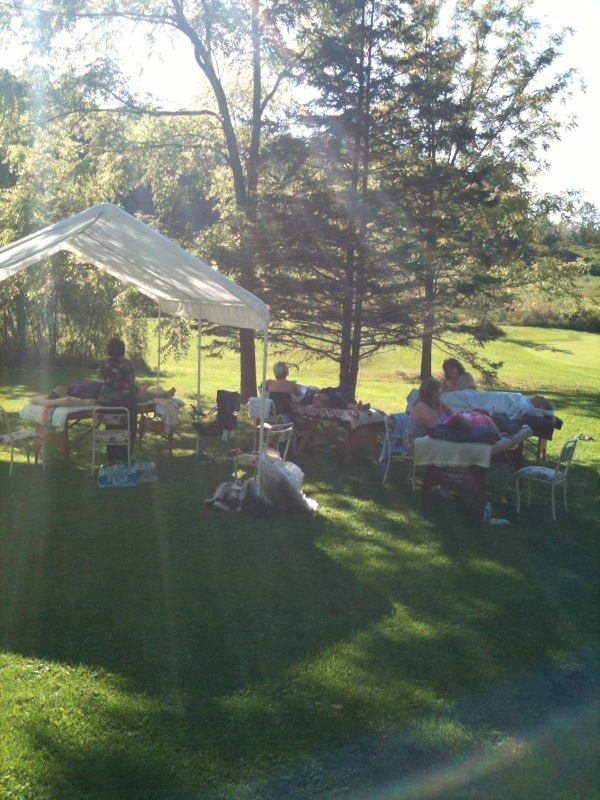 This past weekend I held a Reiki Camp at my home. It was a beautiful heart full experience. When you’ve done something good for your soul – you know it! And here I sit 3 days after the event still deep in knowing that something really good happened. My soul was fed. My heart was filled. My mind was made quiet and at peace. My body was rested. OM SHANTI OM! In the midst of this heart-filled experience arrived a group of wise kind-hearted souls that some of us hadn’t previously met before. What we physically did was Reiki, talk, meditate, ate, slept, cried a little and laughed a lot. But what we truly DID was excavate, investigate, surrender, accept, heal, rest and ultimately embrace the wise one within each one of us. As the wise one within each of us stepped forward out of the shadows of fear, doubt and insecurity the circle became enriched with a deep sense of self honouring and love for self and others. And let me tell you – what a feeling! We all surfaced feeling more empowered, more centered in our own knowing and more connected to our particular stream and expression of life. Deep gratitude and humility began to flow into all the crevices and cracks cementing the energy of the group into a magical cohesive whole. It spread and it grew steadily over the course of the 4 days facilitating deep trust and surrender. Once again I was affirmed in the superb quality of Reiki. We made it a point (OK…maybe I made it the point) to stick to plain and simple Reiki. Although many of us have other modalities and energy healing techniques that we bring to the table, we agreed to practice just Reiki for this event. Other times may call for different ways, but since all the participants were attuned to Reiki we stayed with it. Interestingly it was the participant with 1st degree that felt the need to add other things to the mix. I encouraged her to seize the opportunity to practice simple form. Sitting quietly, mindfully, breathing, holding space, being in alignment, practicing the precepts and the symbols presented a beautiful interface with nature. It was easy – so easy to surrender. Nature met us in full life force. Nature sat as an identifiable entity within our circle, co-creating the healing and deep rest that was happening. A quiet order permeated the happenings allowing all the time that was needed to complete all exercises on schedule without sacrifice or rushing. Every moment counted and was fully attended to. Every touch fell in perfect placement, every word on open ears and hearts. In the end we all went away with a new friend; our Wise One Within. We came to understand ourselves in a new dimension and also introduced that aspect of ourselves to others. I was honoured to meet each of your Wisdom Keepers. I am deeply grateful for the participation and courage of all the attendees this weekend for because of your committment we created a profoundly Sacred Space here in my garden. As I sit here today, I can still feel the awakened sacred. Thank you all – and welcome to all who join us in the future!